Virtual reality gamers patiently waiting for the real-time strategy game Brass Tactics to be made available on the Oculus Rift virtual reality hardware. Will be pleased to know it is now available to purchase and download from today, February 22nd, 2018. Brass Tactics has been created by developers Hidden Path Entertainment the team behind the Defense Grid franchise and Age of Empires II. 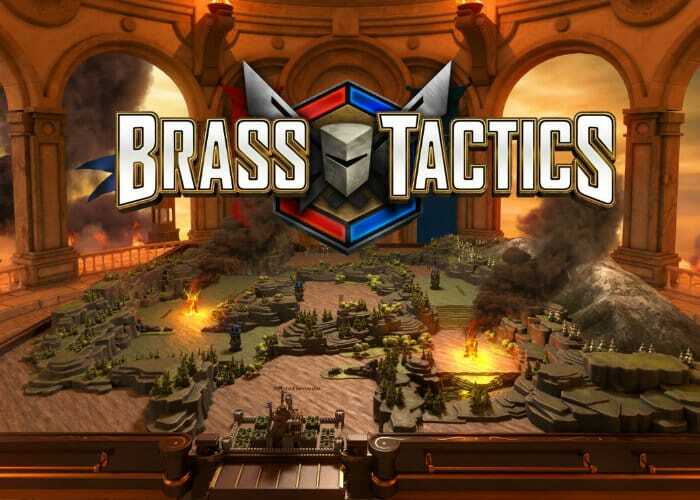 If you would like a teaser at what you can expect from the new VR Brass Tactics RTS, its developers have made available a free to play the multiplayer demo in the form of Brass Tactics: Arena. Which provides a good overview of the gameplay and features you can expect in the full version. Although by purchasing Brass Tactics you will receive access to 20 maps, a campaign mode and three artificial intelligent computer-controlled players to battle against. Watch the teaser video below for a quick overview of what you can expect from the new VR game. Features include the ability to customise your army with dozens of units and upgrades, the ability to discover something new in every game with over 20 uniquely crafted and detailed maps to enjoy, a 6+ hour story campaign and unlimited single player versus AI gameplay. All of which require Oculus Touch controllers to enjoy. No information has been released as yet by Hidden Path Entertainment when the game will be available on other platforms such as the HTC Vive but as soon as any news is announced we will keep you up-to-date as always. For a comprehensive hands-on review of what you can expect from the new Brass Tactics strategy game that is now available to play on the Oculus Rift virtual reality headset jump over to the Road To VR website by following the link below.